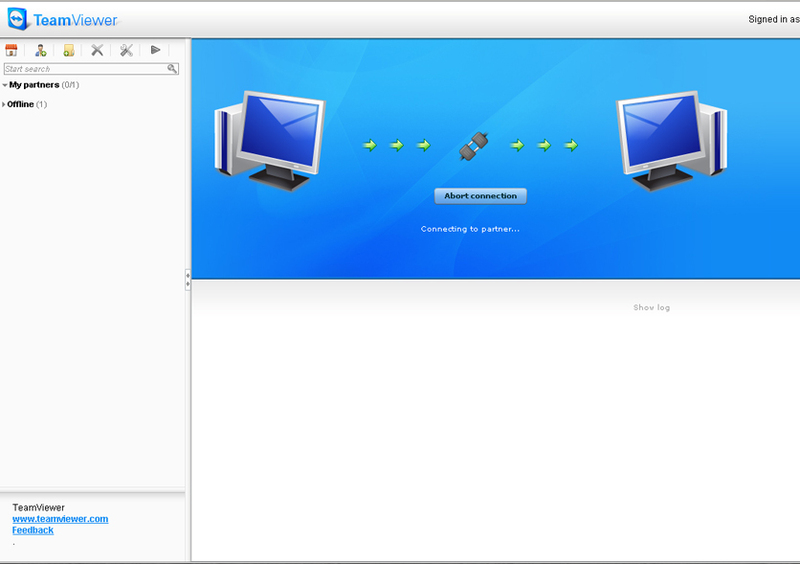 Teamviewer 6: How to Connect to your Remote Desktop using a Browser. TeamViewer GmbH is one of the leading providers of remote control and online-presentation software that offers TeamViewer 6. In which the new version brings innovative connection options and performance enhancing features to the all-in-one solution. In version 6 the QuickSupport customer module, designed for fast and straightforward access to client computers, is optimized with customized features that adapt to business needs. Customers can reach out directly to supporters, as they are able to send chat messages, eliminating the need to call or send an email. 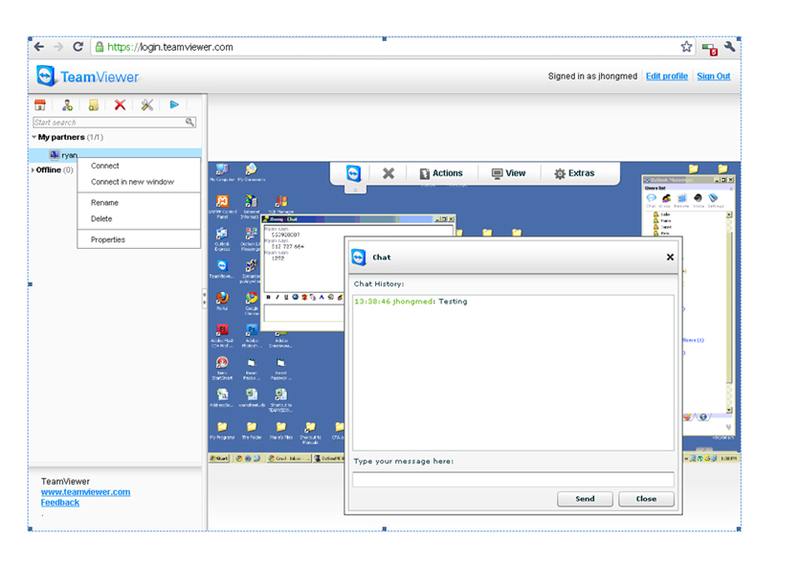 TeamViewer also enables you to conduct presentation remotely from any computer that has an Internet connection. The web browser frontend of TeamWiewer or also known Web Connect conveniently lets you connect to another computer from any browser that supports flash. 1. 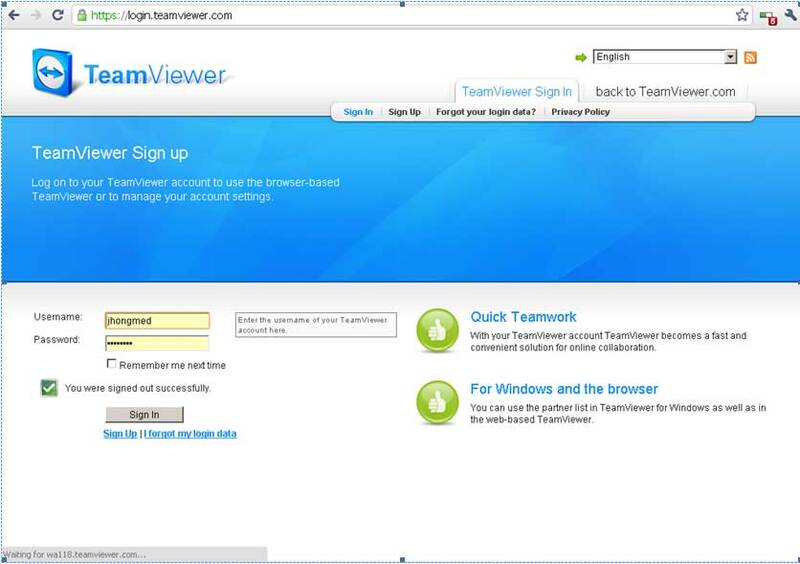 Login to http://login.teamviewer.com. Sign up and create an account. An email will be forwarded to you to activate the account. 2. After activation, sign in using the account you have created. 4. Click Connect, and wait to establish connections. 5. Once successful, then your done. You can chat, transfer file and control the remote computer. Since Samsung Smart TV has a built-in web browser, I can use it to login to www.teamviewer.com perform the procedure above and conduct remote desktop support to friends or clients while bonding with my children watching movie marathons. Isn’t that neat! If you like the above tips, I would definitely appreciate a click on the like button! Thanks! Wow great tip! All the more I want one! Thanks Sire. Me too, grabe I wanted it na talaga! Napa ngiti ako doon Leirs… Well, I’m very grateful for the support! Oohh, that’d be cool to do that at the comfort of your own home. Well, my computer shop is just outside my home so I guess I won’t really need it. Hehehe. I’m using LogMeIn, by the way, to help my friends with their tech problems. But, if your shop is far from your house, this will really be convenient. If there’s a problem at your shop and you’re busy bonding with your family in front of your Samsung TV, you can easily switch to the browser to check on the issue right away without having to leave. I’m loving the TV when I saw it at iBlog7. 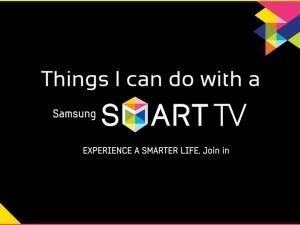 thanks for sharing technical features of samsung smart tv… hope u win!!! hirap nito ah sa iba.. pero sau pinadali mo lng… challenging!!! ayos bro!!! ikw na !!! i love the features…. pwede!!! where I can find this ? Unfortunatelly the teamview idea seems not to work any more. 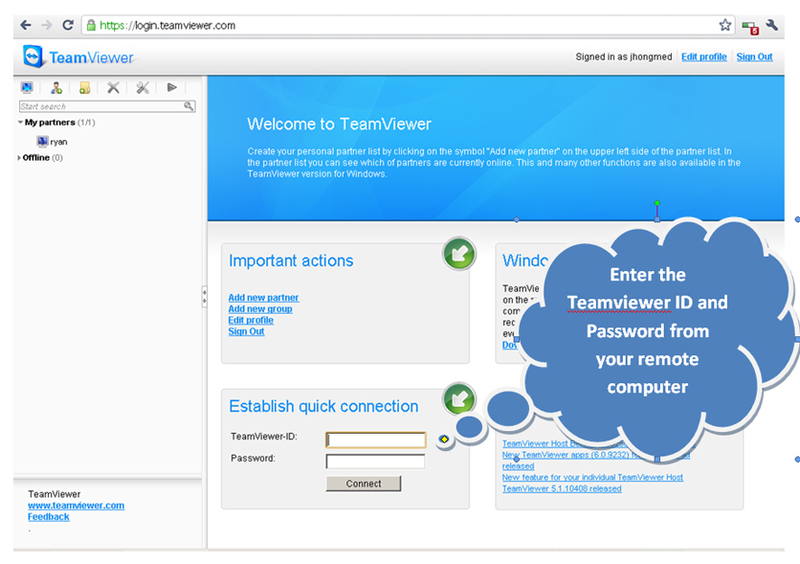 The stile of the teamview login page changed a liitle bit. It says that the browser of my samsung smart tv does not support flash player. But it really does! Nevertheless no connection to a client can be done. Can onyone confirm this? Any hints to solve this problem? i´ve got the same problem! Did you already solve it? Same problem with Flash overhere … so doesn’t work (anymore)? Is it possible to do it vice versa? Connect my smart tv with PC via teamviewer? In addition to Teamviewer, you may want to consider GoSupportNow at $19.95/month. It works well. Skype has opened its website-centered buyer beta to the world, right after starting it generally inside the U.S.